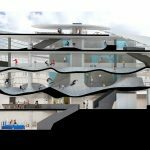 The Folkestone Skatepark site totals approximately 5,000 square meters and proposes a major new indoor facility, offering a range of challenging sports for Folkestone town centre. 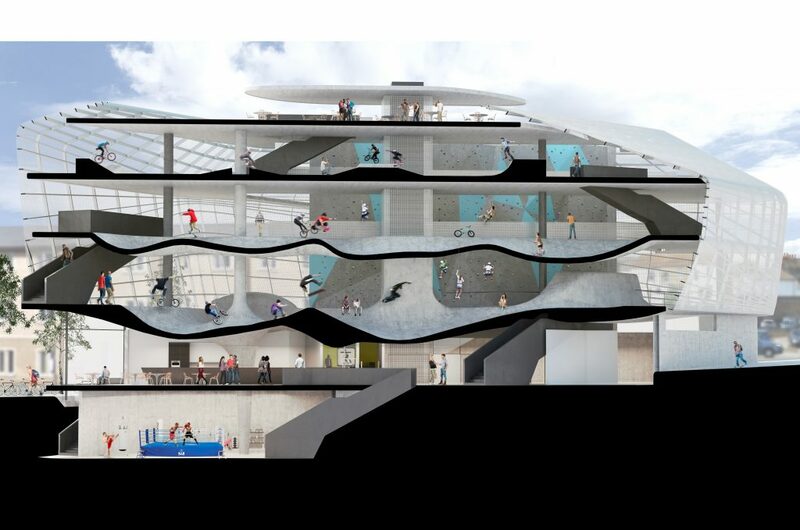 Following a series of public consultations in spring 2015, detailed proposals were developed by Guy Hollaway Architects, working with Maverick, a specialist skatepark design consultancy, to create the world’s first multi storey skate park and urban sports facility. 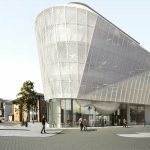 The new centre has been designed on behalf of The Roger De Haan Charitable Trust which is funding the £10 million project, and will include an indoor multi-storey skatepark, accommodating skateboarding and scooters at beginner, intermediate and competition levels, together with a climbing and bouldering centre. The finished design also incorporates a café for use by people taking part in sporting activities and by spectators, a fully equipped boxing club, and a rooftop function room with views across the harbour. Full wi-fi connectivity will enable transmission of skating competitions to viewers via sporting and social media outlets. 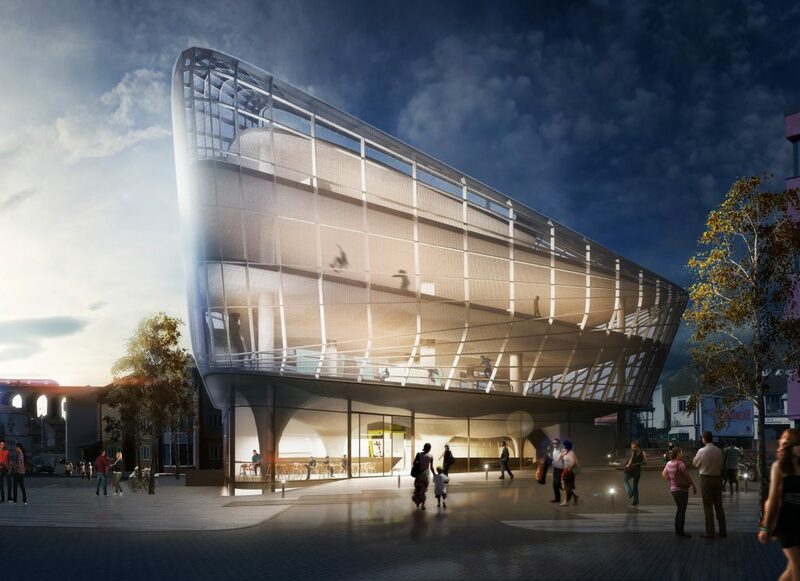 Clad in two layers of perforated mesh, the skateable levels will benefit from natural ventilation and a continued connection to the sea, giving the building a translucent glowing effect during the evenings, whilst allow visibility both in and out throughout the day. The project is believed to be the first of its kind in the world, and it is hoped this will attract visitors from a wide radius across the south east of England and beyond. People who live in Shepway post codes will be able to use the facilities in the centre at special low prices by taking up a regular monthly subscription. Preparation work on the site will begin almost immediately, with construction expected to take between 18 and 24 months. Trustees of the Roger De Haan Charitable Trust believe this project will provide another exciting and innovative opportunity for young people in this community, following their support for the development of Three Hills Sports Park and setting up the Shepway Sports Trust. 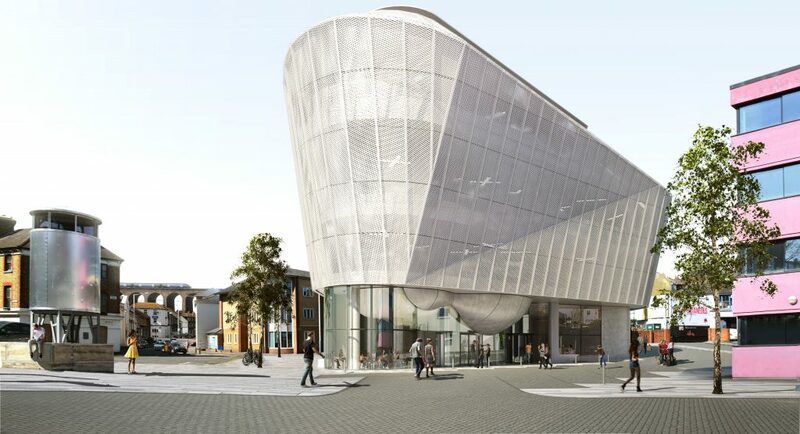 This is the latest scheme to receive planning permission in the ever growing popular creative quarter of Folkestone, and is set to be a worthy addition to the architectural creations along Tontine Street.